Tag Archive | "best buy"
Cyber Monday at Best Buy is here once again. If you are in the market for a laptop, you may find that their deals are lacking. But they still have plenty of other deals going on for Cyber Monday in an attempt to pull in huge sales for the day. Check out the XBox 360 Kinect for $99. Then head over to the music section and pick up a $50 iTunes gift card for $40, you’re essentially getting one whole album for free. You can get a HP Web cam for $7.99 or buy an all-in-one Gateway computer for just shy of $400. Best Buy has deals on computers, tablets, tv’s, music, phones, mp3 players, cameras and camcorders, appliances, gps, video games, etc… So they pretty much have a deal on everything you might need. 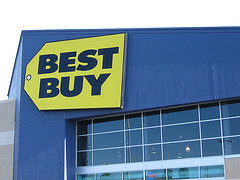 If you need to do shopping, today will be your best bet of the year for Best Buy. Best Buy Cyber Monday deals are only good Sunday and Monday and are available online as well. Will People Still Patronize the White iPhone4? The buzz about the white iPhone4 has grown louder and louder today as everybody anticipates for its release. 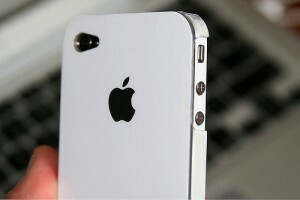 Although it is not yet confirmed, the likelihood that the white iPhone4 will be released this week is really strong. It has been 10 months since consumers have started hearing reports about the release of white iPhone 4. Yet, no one has seen even a prototype of this mobile phone. The blogosphere, a known tech-savvy blog, released a screenshot of Best Buy’s database which included iPhone4. Moreover, it showed that the phone is expected to be released today. Reliability of those screenshots is not yet confirmed. But the main question remains. Will people still purchase the white iPhone4? Everywhere, people will see someone using an iPhone4. Thus, many question the chances that its white version will be patronized. Analysts say that the white iPhone4 will still be a big hit even though the only thing that sets it apart from the black iPhone4 is its color. They say that getting an iPhone has become more of a social symbol than for practical uses. Therefore, the pent-up anticipation for the iPhone4 will prompt people to get one for them. With the launching of the equally elusive iPhone5 pushed back to September, the sales of the white iPhone4 may reap the benefits. People will be torn between waiting for another five months and giving in to what’s available now. Both the launch and the success of the white iPhone4 still remain to be seen. Nintendo finally launched Sunday midnight the most awaited Nintendo 3DS. 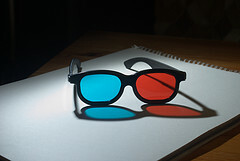 It is the latest addition to the Nintendo gaming console family that allows gamers to play 3D games without using 3D glasses. This is a first of its kind and people waited in line outside one of the stores in New York. After the very successful iPad 2 launch just a couple of weeks ago, Nintendo made sure that they will have an equally raving party. Most of the stores started selling the gadget Sunday morning but many others opened at midnight and that included Best Buy in Manhattan. The president of Nintendo US Reginald Fils-Aime attended the official launch of Nintendo 3DS in New York. He sold the very first unit to Isaiah Johnson who reportedly waited in line for six long days. Demo booths, hotdog stands, and live music were arranged on the street; and at exactly 12 midnight, people threw 3D glasses up in the air to celebrate the official release of Nintendo 3DS. The party, and the long line outside the store, lasted until 2 in the morning. Many people, however, believe that the 3D element of this new gadget is just a gimmick; in fact, 25 percent of a 3,000-respondent survey conducted by Slash Gear, agrees. The same survey found out that 31 per cent of them would most likely purchase the device if it was not for its whooping $249 price. Nintendo 3DS is guaranteed to be safe to use, but due to some health reasons, children below six years old should not be allowed to use the 3D settings. There were reports of headache and seizures as a result of excessive use. American retailers are focusing on the shopper’s convenience as Christmas nears this holiday season, as published by Reuters. Some stores are offering a 24-hour shopping experience and guarantee that the items most shoppers want are available in store. On the other hand, some stores are trying to correct mistakes on previous shopping days. Best Buy tried to alter their strategies on the fly since they made a bad retail bet and witnessed their sales fall as shoppers looked past the expensive 3D, as well as Internet television technologies this year. However, the National Retail Federation is raising the electronic chain’s holiday sales forecast this week. It seems that they may have an improved shopping season. Best Buy lost their tech-lovers and shoppers to bigger merchants like Target, as well as an online shopping store Amazon.com this season since the store is giving out less discounts and promoting pricey 3D televisions. The company acknowledged its mistakes on Tuesday when it revealed a fall in their quarterly sales. However, they are now promoting lower-priced televisions and making appropriate price adjustments in their computer sections after they have realized that shoppers are certainly showing inclination to the low end. 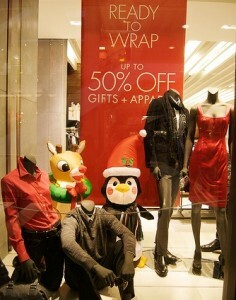 Reuters is also monitoring the strategies of several department stores this holiday. These stores include J.C Penney Co Inc, Kmart parents Sears Holding Corp, discount Target Corp, Toys R Us and Best Buy. The sixth company that the news site had been following includes the teen apparel store, Aeropostale Inc. The merchandise store made a change of heart, and according to a media report, they are putting up a defense against the possible takeover bid.